We have been established since 1990-This means that you are in safe hands. We know the leasing market like the back of our hands and have helped thousands of customers find the right car for them. 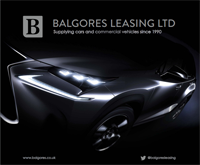 We are members of the BVRLA (British vehicle rental and leasing association)- You can be confident in the exceptional level of service we offer our customers. We don't expect our customers to always know the answers-Thats what we are here for, we are the experts. So whether you know the exact make and model you are looking for, or you just want to talk to someone about your options based on lets say your budget, we are here to advise you.